It’s been interesting watching the development of the VR space over the last year, now that the initial sense of novelty has worn off. Oculus is now looking to expand to a mass audience with their Oculus Go headset, a device that doesn’t need any additional hardware or computer to run, providing reasonable VR quality in return. 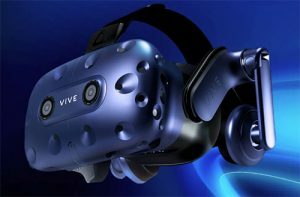 Their rival, HTC, has made a significant push in the other direction with their latest headset, the HTC Vive Pro, which caters to the other end of the spectrum, to high-end VR users, with a very impressive experience. The HTC Vive Pro is an upgrade of the company’s popular HTC Vive headset, which has been competing with the Oculus CV1 as the headset of choice for PC gamers looking to get into VR. It comes with a new design, a higher resolution screen, inbuilt headphones, and support for a much larger room scale experience (100 square metres). These are all good things, but the question is whether the average PC gamer will have use for all of it. 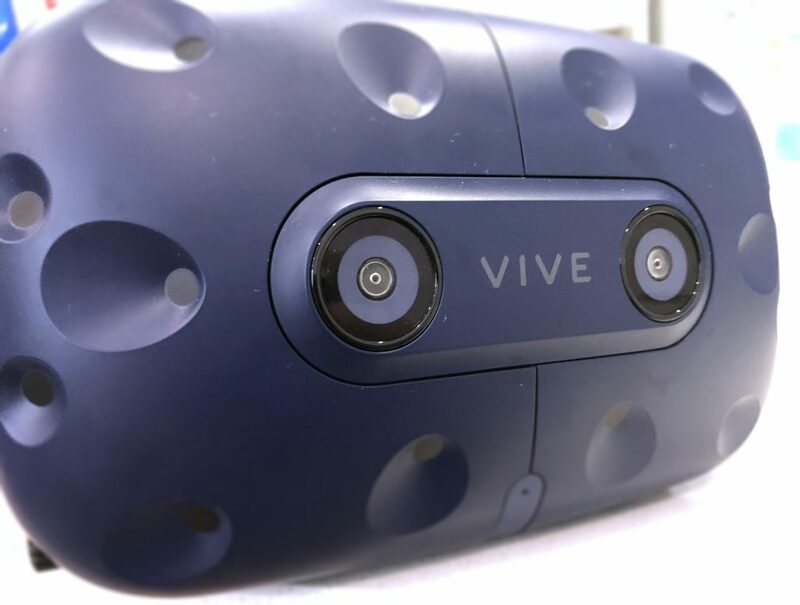 The Vive Pro features a 2880 x 1600 pixels AMOLED display, which works out to 1440×1600 pixels for each eye and a 78% improvement over the regular Vive’s 1080×1200 pixels. While this doesn’t entirely eliminate the ‘screen door’ effect common to VR devices (where the resolution of the screen isn’t quite high enough to make the division between pixels disappear to the naked eye), it does make a marked improvement to the fidelity of the image and the ease of reading fine text. It’s not a night-and-day difference to other devices out there, if you’ve used the Vive or PlayStation VR then the increase in resolution won’t blow you away, but it is an appreciated half-step, to a future where hopefully resolution becomes a non-issue. 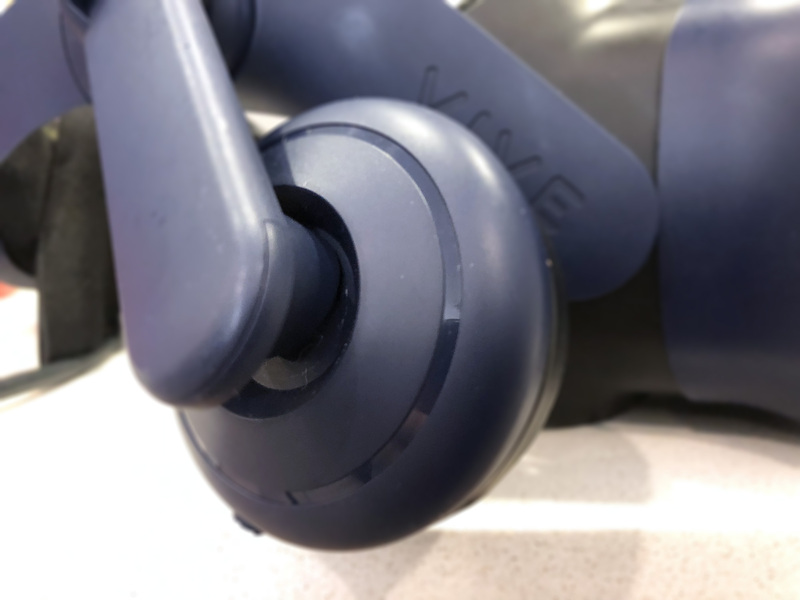 The field of view remains the same as the Vive, but the experience of actually wearing the headset is improved tremendously thanks to its design. Taking cues from the PlayStation VR, the HTC Vive Pro has a dramatically different design to the original, with a wrap-around plastic headband with cushions, which can be loosened or tightened with a dial, along with a velcro strap that runs over the top of your head. With ample cushioning and room on the headset for people with glasses, the actual user experience is improved tremendously as you’re now able to wear the headset for long periods of time without the headset feeling heavy, or the display fogging up or blurring. The Vive Pro also has cushioned headphones that can be raised or lowered, or removed entirely, built into headband and they’re actually pretty decent quality for most VR experiences. They certainly do a good job at isolating the user from outside noise, although if you’re playing a high-intensity game like Doom VFR you might want to bring out your dedicated gaming headphones of choice. However, for the comfort and usability of the headset, the setup of the Vive Pro is still a pain. The Vive requires two base stations (whether they’re the original Vive versions, or the new ‘2.0’ design), to properly track the Vive Pro’s position, whether you’re using a room-scale experience or not. 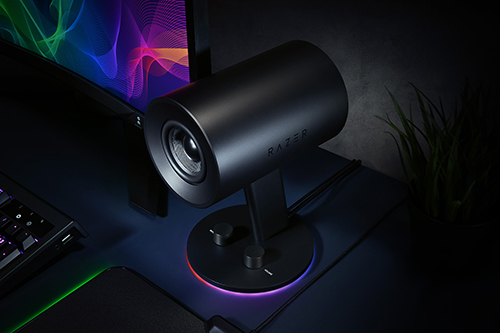 Average users will still have to plan on two places with power sockets for these base stations, as well as power for the headset itself, which runs in-line to a Link Box that connects your computer to the Vive Pro, with a not-quite-long-enough cable that undoubtedly will need you to look into an extension, especially if you want room scale. Rather than HDMI, the Vive Pro uses DisplayPort, which makes sense but also leads into the specifications your computer needs to run this thing, which are obviously reasonably high. You’ll need at least at GTX 970 graphics card to get started, but realistically you’ll want to be on a 1070 or 1080 to get the best games running. Thanks to Valve’s partnership with HTC, there’s a long list of VR experiences and games available on Steam that you can jump right into – although choices for actual worthwhile games are still a little limited. The best games are ones built from the ground-up for VR which utilise it in a creative way, like Beat Saber or Superhot VR. Famous franchises and games have made the leap, to varying degrees of success. Doom VFR is a pretty great experience, since its movement and shooting mechanics are based around VR, and it isn’t a simple retread of the original game. Others which have simply been updated or re-released to fit VR generally fare less well, Skyrim and Fallout 4, fit into this category, along with experiences you think would work better like Obduction and The Talos Principle. Others, like Knockout League, work well but feel more like tech demos for proving a certain type of gameplay can work in VR. However, HTC’s Viveport store has access to some better games, including the great Moss. However, testing out the HTC Vive Pro with some of my friends, whose VR experiences range from cursory to nil, showed an interesting trend that the most immersive or impressive experiences weren’t necessarily games. Applications like Google Earth VR and Tilt Brush were the clear winners, and I’d go so far as to say transformative experiences, using the Vive Pro. In Google Earth, the increased resolution of the headset, combined with easy controls, meant it took scant minutes for everyone to become experts, being able to fly in and out of exotic locations around the globe, or track down their childhood homes. Tilt Brush’s tracking was also good enough in room scale to draw and sculpt some pretty cool art pieces in almost no time at all, with one person even being able to quickly graduate from doodling to designing a dress in 3D space. Seeing the technology serve as a gateway to new ways of learning or creating was probably the most impressive part of my time with the Vive Pro. On HTC’s own website, the Vive Pro is specifically touted as ‘professional-grade’ and they’re right on the money. 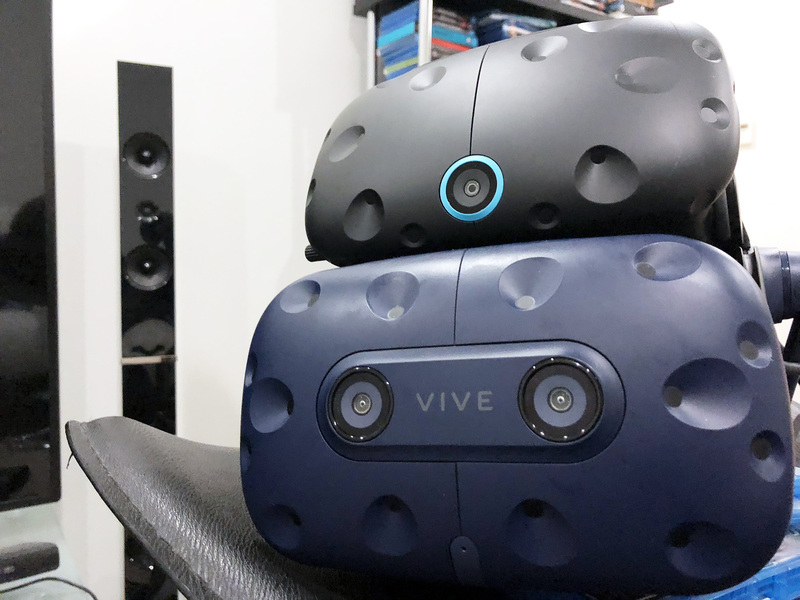 Developers, artists, or businesses working in a VR space will benefit the most from the HTC Vive Pro’s upgrades, as its well suited for high-end applications and room-scale experiences in large spaces. The headset’s excellent comfort and user experience – once properly set up – make it easy to recommend to high-end users who may want to set up an installation in a public space, or develop their own applications in a professional environment. For everyone else at home playing on their PCs, the HTC Vive Pro is a luxury, and one that will be unnecessary for most of the people reading this. If you’re thinking about getting a Vive Pro for gaming, you should make sure there’s enough you actually want to play that’s available in VR. VR as a technology and as an experience is still evolving, and it might be years until we get a good handle on how to make a truly amazing VR game. At the moment, while there are some fun indie titles out there, some amazing experience-type programs, and some decently-retrofitted games, there still isn’t a lot that will keep most people engaged. 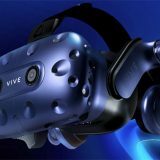 However, if you’ve got cash to burn or you really want to invest in the future, there’s no question you’ll be getting the very best experience out there with the HTC Vive Pro.